1. Air Compressor Fails To Maintain Sufficient Pressure Or Adequate Air. 3. Air Compressor Passes Excessive Oil. 4. Air Compressor Not Unloading (excessive pressure). 2. 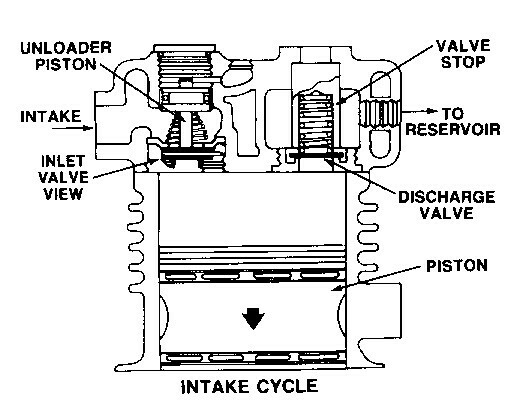 Restriction In Air Compressor Cylinder Head Inlet, Discharge Cavities Or Line. 3. Leaking Or Broken Inlet Or Exhaust Valves. 6. Excessive System Leakage Or Usage. 2. 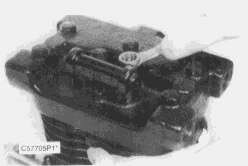 Restriction In Cylinder Head Or Discharge Line. 3. Worn Or Burned Out Bearings. 4. Air Compressor Not Receiving Proper Lubrication. 2. Dirty Air Cleaner (improper air cleaner maintenance). 4. Small Or Restricted Oil Return Line Flooding Air Compressor. 5. Piston Rings Not Properly Installed. 6. Back Pressure From Engine Crankcase. 7. Inlet Pipe Restricted – Too Small Or Too Long. 1. Defective Unloader Pins Or Seals. 3. Reservoir Line To Governor Restricted. 4. Unloader Mechanism Binding Or Stuck.